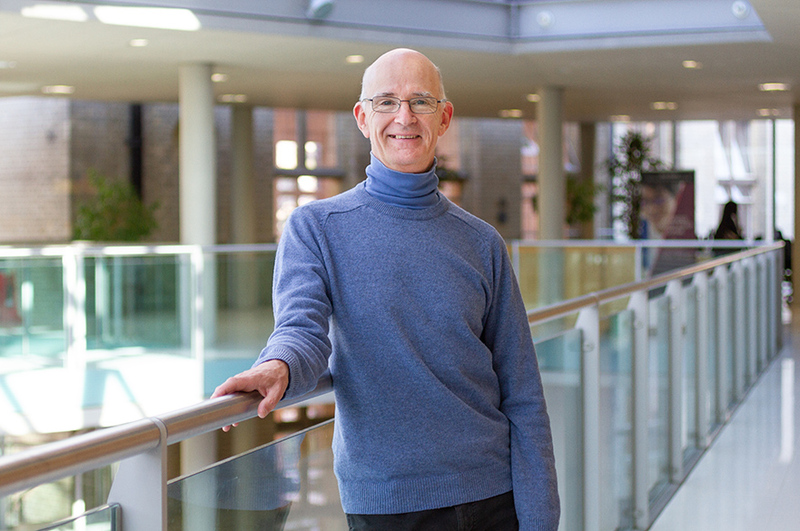 Professor Bill Niven is a public history practitioner and an acknowledged expert on war-time and post-war Germany. The Buchenwald child was a particularly well-known national story in Germany. It was based on wartime events but written up in the post 1945 period, where the German Democratic Republic (GDR) used it to demonstrate its anti-fascist roots and prove its sympathy towards Holocaust victims. Niven's study revealed that this much-lauded story was largely founded on myth shaped by the demands of the Cold War – specifically, the need to prove that the GDR was the 'better' Germany. His work started a major re-evaluation that stretched beyond the boundaries of academia into the public domains of national identity formation in the context of reconciling the present with Germany's National Socialist and post-1945 divided pasts. The impact of Niven's work links directly to the centrality of the Buchenwald story to the GDR's post-war identity, created by the state's aggressive promotion of the communist resistance fighters' own heroism at the expense of non-communist survivors of Buchenwald. Two key mechanisms for this were the film Naked Among Wolves (directed by Frank Beyer, 1963), and the book of the same name by Bruno Apitz (1958). Publicly contradicting the sanitised and heroic view of communist resistance was central to Niven's scholarship, its initial objective and its impact. There was wide response to Niven's book in Germany, particularly in the former GDR, even prior to the publication of the translation. As a result, Niven was invited to Berlin in November 2008 to be interviewed by German radio, press and television. In 2009, Professor Niven was interviewed about the Buchenwald child for the German cultural news programme Kulturzeit. This reassessment has taken the form of public discussion in the German media, including an hour-long TV documentary film in 2010, Das Buchenwaldkind oder Was vom Antifaschismus bleibt (The Buchenwald child or what remains of anti-fascism). The film was based largely on Professor Niven's book and included interviews with the Buchenwald child himself, with Niven and with the director of the Buchenwald memorial site. A paperback version of Niven's book, produced and distributed by Germany's Federal Centre for Political Education, has triggered discussion in organisations representing veteran survivors of the camp. Its adoption of Niven's text and its subsequent financial and organisational support for his public seminars and lectures, carries weight and significance, as does the incorporation of his material in teaching packs for younger students. Professor Niven has long advocated the need to bridge the gap between the academy and a wider public. His earlier work was all conducted in an inclusive cross-disciplinary environment that sought to engage with external media outlets, and third sector and state agencies. Such work included his research monograph on German attempts to come to terms with Nazism: Facing the Nazi past (Routledge, 2002), now a staple of many undergraduate university courses, and his critical readings of popular cultural representations of the Nazi and the post-Nazi era through media such as feature film: 'The reception of Steven Spielberg's 'Schindler's list' in the German media', Journal of European Studies (1995), and literature: 'Bernhard Schlink's "Der Vorleser" and the problem of shame', Modern Language Review (2003). Niven carried out archival research from 2002-2006 into the life story of the Jewish Buchenwald prisoner Stefan Jerzy Zweig (known as the Buchenwald Child), who was rescued in part by communist prisoners at the camp. He examined the GDR state history of this rescue in historiography, commemoration, literature and film, paying specific attention to the political circumstances under which the novel about the child's rescue, Naked Among Wolves, and the film based on this novel, were produced ('The Genesis of Bruno Apitz's 'Nackt unter Wölfen', 2005). Professor Niven concluded that the various forms and genres of reception constituted a mutually reinforcing system of mythologisation. In order to glorify the role of the communists in rescuing Stefan, the GDR ignored the part played by Stefan's own father and circumnavigated the fact that Stefan’s life was saved at least once when communist prisoners engineered the substituting of his name on a transport list. He also showed that, after 1990, a united Germany under a west German memory regime ensured that the story of Stefan's rescue was turned into the opposite of what it had been in the GDR. By focusing on the victim swap (substituting Stefan on a transport list), it became evidence of the preferential treatment accorded by communist camp functionaries to those prisoners of whom they approved. In the broader context of anti-fascism studies, (research into the practice, cult, memory and politicisation of anti-fascism, and into its equally politicised deconstruction since 1990) Jeffrey Herf has demonstrated in Divided memory that memory of anti-fascism led to a marginalisation of memory of the Holocaust and anti-Semitism in the GDR. Niven's research, by contrast, has shown that, at least in the case of this one important narrative, memory of anti-fascism was entwined with memory of anti-Semitism, indeed helped to highlight it – but at the cost of truth and in the interests of memory of communism. Email from the director of The Buchenwald Child or what remains of anti-fascism confirming the importance of Niven's book for the making of her film. The Bell of Ettersberg quarterly edition containing comments on the impact of Niven's book, as well as a review, and Niven's response (Die Glocke von Ettersberg 195 (2009)). Federal Centre for Political Education article proclaiming the importance of Niven's book in deconstructing anti-fascism. Review by Harry Stein of the Buchenwald Memorial Site confirming the importance of Niven's book and acknowledging its impact. Stein writes of Niven's personal engagement with Holocaust survivors and stresses the "great sympathy" shown towards his book in Germany as a result (Harry Stein, 'Ein Mythos der nationalen Geschichtspolitik und Erinnerungsbildungen', Einsicht 05: Bulletin des Fritz Bauer Instituts (Spring 2011), pp. 86-86). Press coverage as impact: e.g. Peter Kirschey, 'Die Helden sind rar geworden' (Heroes have become a rare thing), Neues Deutschland, 20/21 December 2008, p. 3 (whole page); Constanze Matthes, 'Ein Mythos wird enthuellt' (A myth is exposed), Naumburger Tageblatt, 28 March 2009, p. 2; Karim Saab, ‘Die Realitaet hinter dem Mythos’ (The reality behind the myth), Interview with B. Niven, Maerkische Allgemeine Zeitung (Weekend Supplement), 4/5 April 2009, p. 3. Niven's blog as an example of his continuing engagement as a public historian with external, non-academic audiences (using as one example, keyword search Buchenwald). Teaching literature for younger German audiences, produced by the Amadeu Antonio Stiftung, supported by the German government, which uses 'The Buchenwald child' as a media case-study (pp. 3,6, 18). 'The Buchenwald child': for positive reviews, see D. Augustine, Central European History 41 (2008), 167-9; C. Dejung, Journal of Contemporary History 43 (2008), 705-6; D Pinfold, Journal of European Studies, 38 (2008), 89-91. Following its publication, Niven was invited to give lectures at Harvard and Brandeis Universities in 2007. Facing the Nazi past: for positive reviews see G. Rosenfeld, German Studies Review 26 (2003), 237-9; C. Paver, Modern Language Review 98 (2003), 250-2. Niven, B., 2007. The Buchenwald child: Truth, fiction and propaganda. Woodbridge: Boydell & Brewer. Translated into German as Das Buchenwaldkind: Wahrheit, Fiktion und Propaganda. Niven, B., 2005. '"Der Not gehorchend, nicht dem eignen triebe, ich tu's der Werbung nur zuliebe!" - The Genesis of Bruno Apitz's "Nackt unter Wölfen"', German Studies Review 28, 265-283. Niven, B., 2002. Facing the Nazi past: United Germany and the legacy of the Third Reich. London: Routledge.